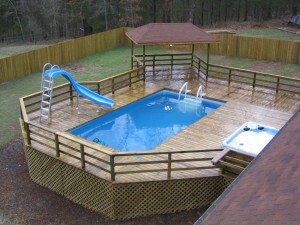 Think of framing your pool with inground pool deck. 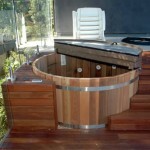 While basins are designed for swimming and that sort of entertainment, deck helps to bring the completion of the overall image and, perhaps, prepare the area for a lounge zone near the basin. 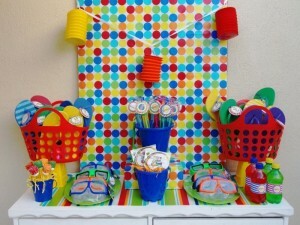 It is a necessary part, besides summer is not a summer without swimming and taking sun baths after. 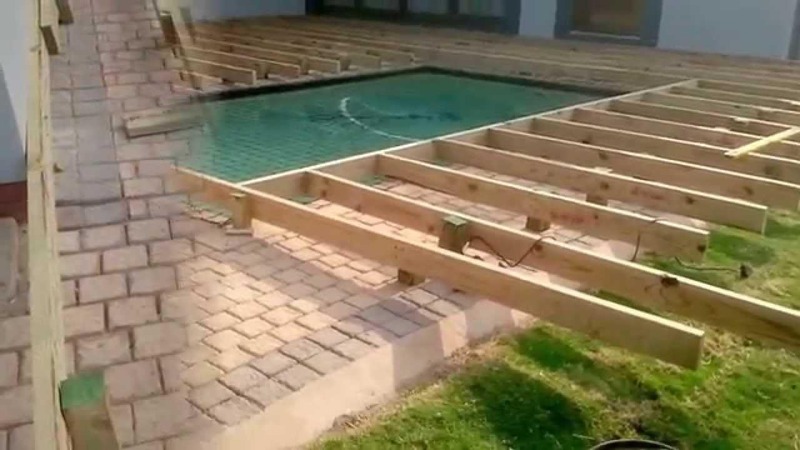 Pool deck is the part, which provides you exactly with good rest in the backyard. Choosing the appropriate one consider what you want to get and how much money you can spend. 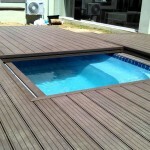 However, pool deck ideas for inground pools can be variable – even a simplest decking may look luxurious. The simplest option is a broom finished concrete – looks like sidewalk though it can be decorated with different stone-texture styles. The other beautiful and stylish decision is wood. This warm material require some maintenance though. 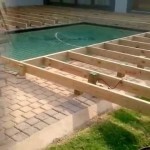 In order to avoid it from water spoiling affect use waterproofing cover or sustaining. A great variety of shapes and colors can be found among paver ones. 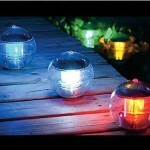 They are spread because of the low maintenance needed, but they do not avoid cleaning. That should be done every 2-3 years. Tiles and stones are great choices. The first ones can do a dramatic design though choose the unglazed variant. 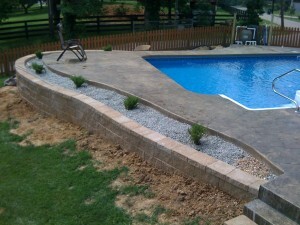 However, stones are the most durable and always look great. Deciding a material to use find out everything about maintenance – nobody likes to spend every season hundreds of dollars on sustaining it, make sure the deck is not the thing you must always take care of. 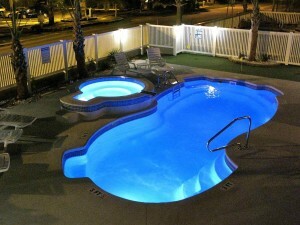 Inground pools are a long-lasting décor element. You cannot move it with you because it is a stationary construction. 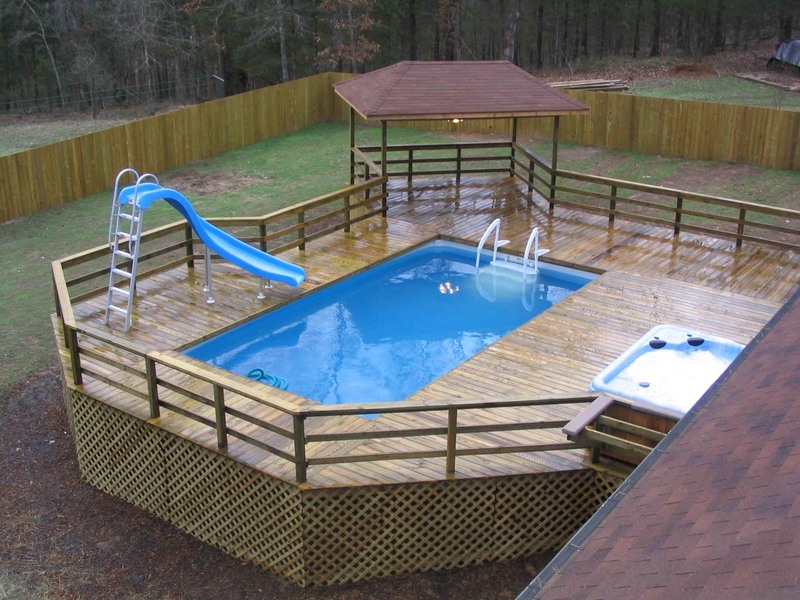 Nevertheless, you can decorate it with deck, so that your inground pool will be pleasant to look at and everyone would lovely visit you just to see it.